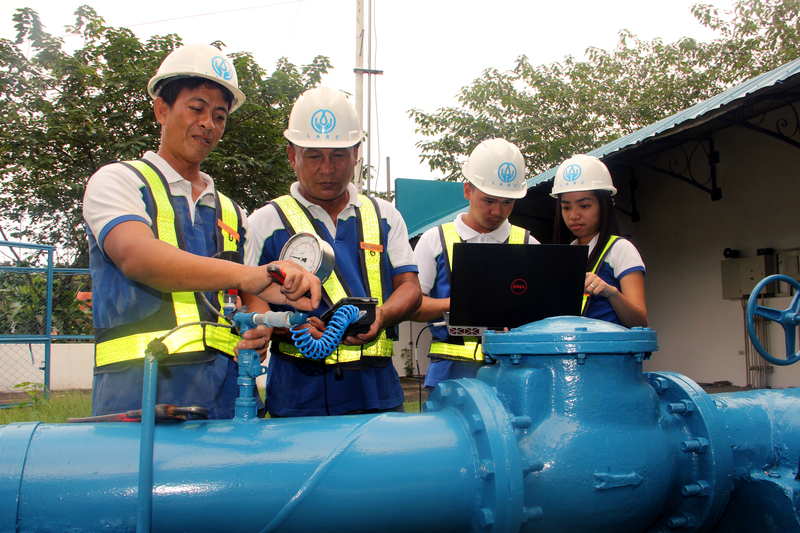 In line with LARC's mission to provide reliable 24/7 water supply and pressure, the Network Hydraulics Division completed the calibration of the water network model of the LARC water distribution system using EPANET software. The calibrated model will be the basis for optimal and proper distribution of water supply and pressure on all pipelines within the service areas. It will also be used to check if the future demand and service area expansion can still be accommodated by the existing water system. It will also serve as a tool to plan for the timely construction of new sources, additional storage facilities, and pipeline upgrade/reinforcement. The calibration of the model was completed last December 2017 after six months of data collection, modelling and calibration. 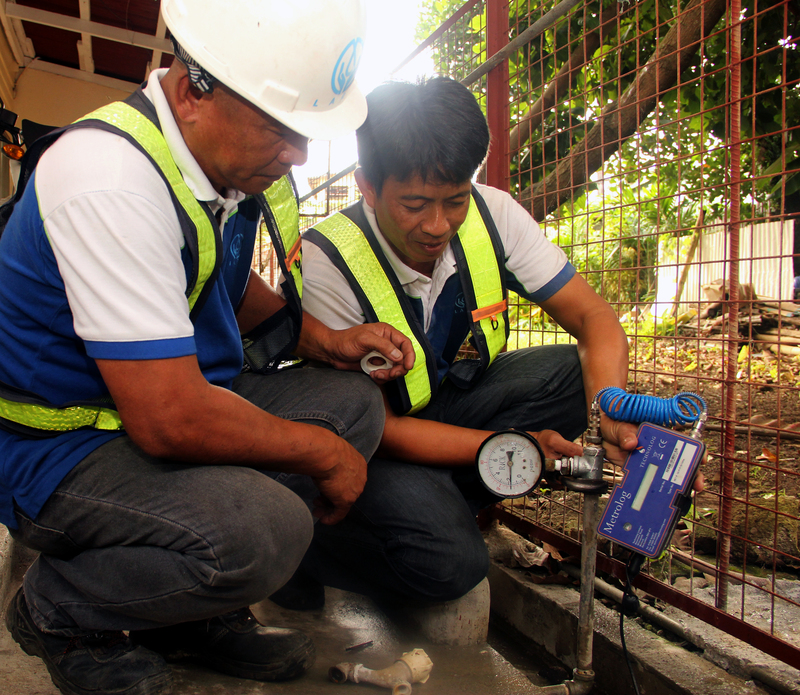 Data collection was done through the installation of pressure data loggers in strategic and critical points around Los Baños, Bay, Calauan and Victoria. The actual pressure readings collected was then matched or calibrated with the pressure simulated using the backbone model generated from the EPANET. Matching pressures on the simulated and collected pressure readings indicates the adequacy of the system being modeled thus any changes done in the model is somewhat what is happening on the actual pipelines of the water system. 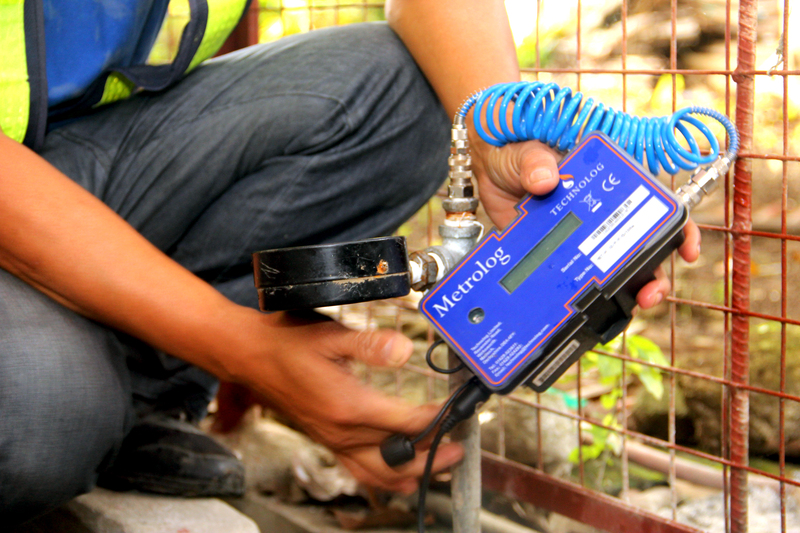 With the calibrated model of LARC’s water system, proper actions can now be recommended to optimized allocation of water from the sources to maintain water pressure in the distribution network at all times specially during peak demand. This will be done through maintaining constant set pressure at the pumping stations, setting of valve openings and water loss detection either in form of leaks and unauthorized connections.